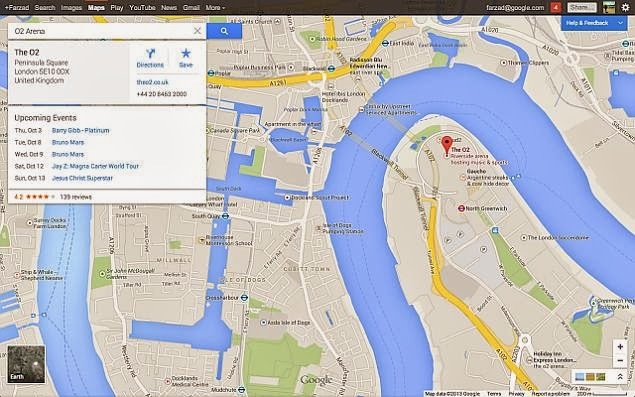 Google has updated the Maps service and has added new features and tools based on feedback from its users. It adds support for multiple destinations based navigation along with two new tools to manage reservations and let a user know about any upcoming event data for venues. However, not all of these will be available across the countries, and some will rather be restricted to the US for now but we can expect a wider global roll out soon. The support for directions to multiple destinations will let users plot the best route for them on a map when visiting more than one destinations on a single trip and get driving, walking and biking directions for these on the Maps. Users have to choose a starting point and then add the rest of the destinations or stops by simply clicking ‘+’ for each of these by using either the search box, or by clicking the locations directly on the map. Also one can drag and drop any destination on the map as well. The directions for multiple destinations feature also ties in with the new Views carousel, which will let users preview their destinations using Photo Tours, Street View, and other available imagery, within the same window. Besides, With the ‘Upcoming Events’ feature one can now also check Google Maps to know about the upcoming events, concerts, sports matches and more at a particular place or an area. If you are unsure about the venues in the area, you can select them by category, such as ‘music venues,’ to be able explore what events will soon be held near you. 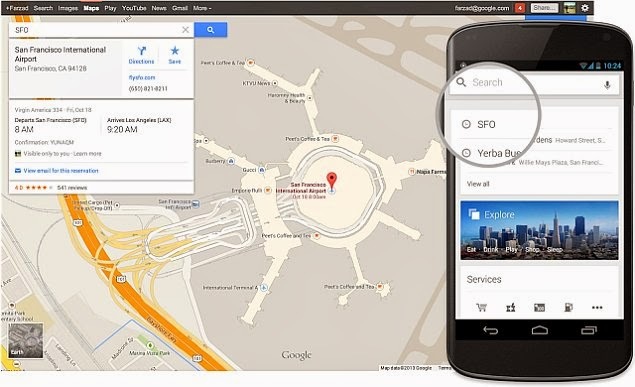 For signed-in users, Google has tried integrating a Google Now-style digital assistant feature that will let user search for flights, hotels and restaurant on Maps. Google says that this will work as fast as it works on the recently tweaked Google Search. One will simply have to put in the present destination and Google will show upcoming plans related to the destination. 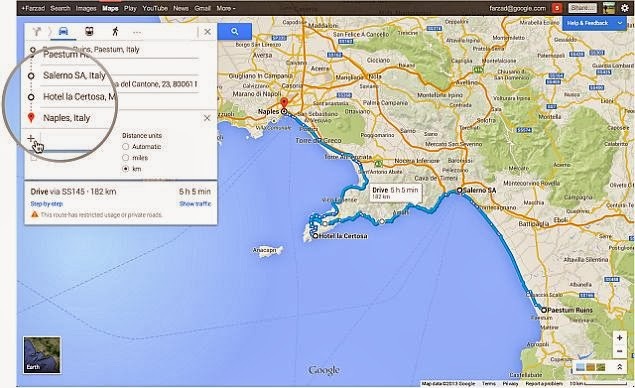 Google emphasized that these itinerary details are only visible to the individual user, and only when signed in on the desktop. However, the sad part is that this feature is currently rolling out to Maps users in the US and is available in English only. Google however, has also promised that a lot more features for Maps will be coming soon. Japan is full of vending machines selling everything you can think of, from soft drinks, booze, and magazines to batteries, rice, and even fruit and veg. 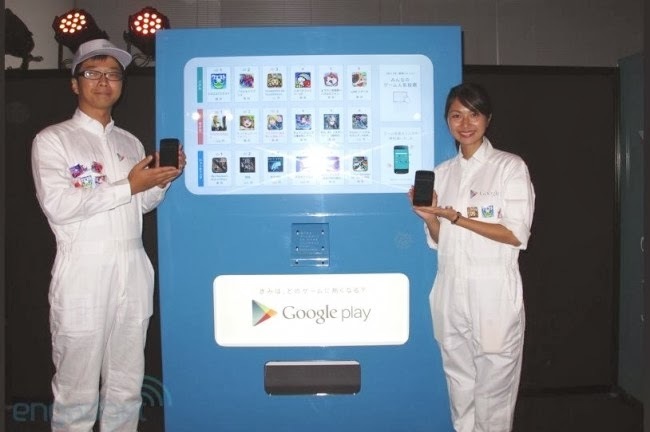 Now it seems Google Japan wants to join the fray, with the company this week unveiling its Android game vending machines in the Japanese market. It was first Spotted by engadget. The company has announced three dedicated Google Play machines in front of the Parco department store in Shibuya, Tokyo that will each sell 18 different gaming titles, which are a mix of free-to-play and paid-for titles. The machines will be there for a limited ten-day run. Android smartphone owners in Japan would be able to load games on to their devices through these vending machine by simply inserting coins. However, To grab a game, you need an NFC-enabled smartphone running Android 4.0 or higher. The machine features a tray just below the screen where user can simply place their device and pair via NFC. The touchscreen allows users to navigate through categories and titles and see screenshots, ratings and reviews. The machine even rewards users with goodies for trying out other apps. Google is also demoing the capability to users who don’t have an Android phone. Users have to simply select a Nexus 4 on the display and the device will drop into the delivery tray at the bottom. Although you do have to give it back, to one of the nearby Google employees. While physical distribution of apps and content makes sense in emerging markets where a large number of people don’t have credit cards or good Internet connectivity. Google’s machines are merely a marketing gimmick to score its Android platform a little more publicity in a connected markets like Japan. Considering Japan’s love of vending machines, a modified version placed around Tokyo’s entertainment districts with a few apps could possibly turn into a nice little earner for the Web giant. After introducing handwriting input tool and Hindi language support to Google Translate a couple of months ago, Google has now updated the Translate app for Android with handwriting support for Hindi language. Now, with the addition of Hindi and Thai languages in this handwriting tool, Google Translate will give users the access to 48 languages via Handwrite. The Google Translate app is a useful one especially for those traveling to a place with a different language, and handwriting input tool is one of the important value additions in this app. One can simply draw the text including multiple characters on the main panel of the handwriting tool to see the translated text in the language of their choice. The update in the app also brings camera input translation support. With this one can now simply flash the camera of the device on to a text, click pictures of the same and check for the translation for Afrikaans, Greek, Hebrew and Serbian languages as well. You can download the updated Google Translate app from here.